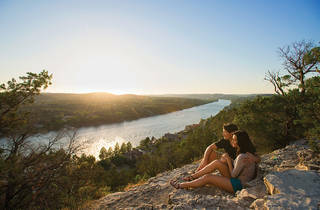 tourist-y things you can do in Austin, but there's something to be said for vacationing in your own town. 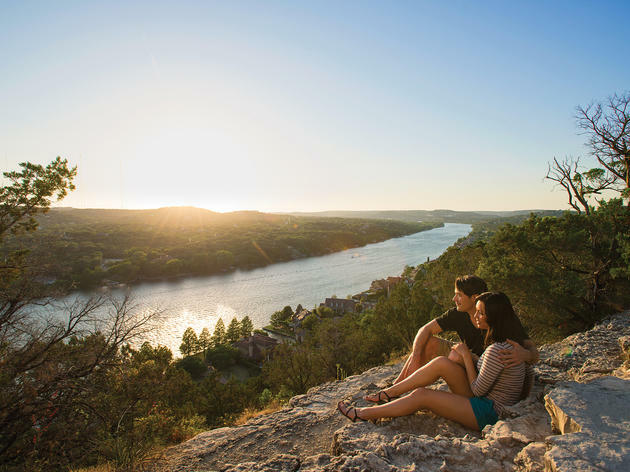 One of the city's tried and true dating ideas (going all the way back to the 1850s) is to pack a picnic basket and slowly make your way up the 102 steps until you reach the full 775 feet. Once you’ve made it, give your sweetie a kiss under the limestone pavilion. They’ve earned it. Address: 3800 Mt. Bonnell Dr.